Battery powered uninterruptible power supply, or UPS, units are a must have for anyone who works at home using a desktop PC or Mac, since they not only protect your computer from power surges and lightning strikes, they also provide temporary backup power to ride out small power outages and give you enough time to finish saving your work and shut down. Larger, more expensive UPS units can provide longer run time and support more computers, but are typically aimed at larger businesses. 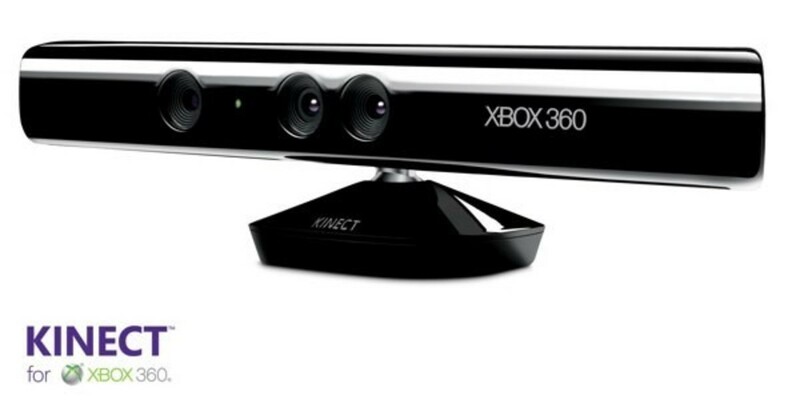 However, a UPS can be used for more than just keeping your desktop computer running. When the power goes out, so will your internet connection. And although you might have a fully charged laptop or tablets and smartphones in the home, they're going to be cut off from the internet. This isn't a big deal for smartphones, unless one is on a limited data plan or your carrier requires you to pay a service fee to be able to tether your smartphone to other devices to provide WiFi connectivity. 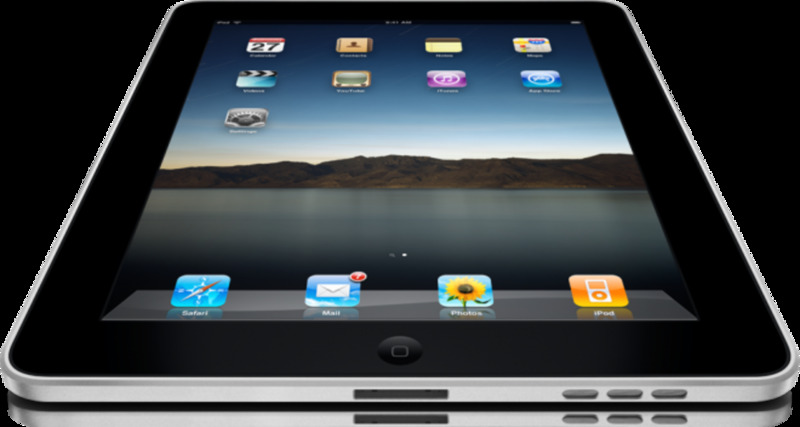 Usually with most power outages you can still connect to the internet, save for the fact that your wireless router and modem don't have power, and therefore can't make provide you the connection from your internet service provider. However, you can plug your modem and router into a UPS unit to keep them powered up. Since these devices don't draw a large amount of energy like desktop computers and monitors do, a UPS can power them for a longer period of time. 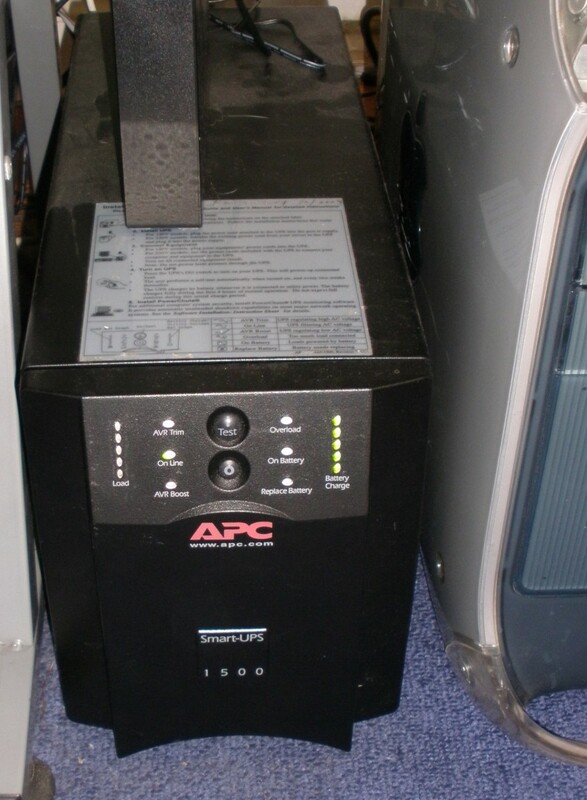 APC produces a UPS model designed solely for this use case in mind, however at an average price of $49.99 at most retail stores, though you can find good deals on them when stores are trying to clear out their inventory, they're basically charging consumers for a redesigned UPS with fewer outlets, and ones that lack a grounding plug at that. Any other UPS will work just fine for the same purpose. For example, I have an ancient APC Back-UPS 200 which will keep my cable company's gateway (a router-modem combo) powered up during an outage, along with my satellite DVR receiver. This works perfectly fine and although I haven't timed how long it can run during an outage, it has kept everything running through a few 15-30 minute long outages that occurred over the past two years. If your computer, modem and router (or gateway) are all in the same room and you already have a UPS, it won't hurt to go ahead and plug your internet service provider's equipment in so that you can at least keep your laptop, tablet and/or smart phones connected to the internet during an outage until its over, or until the battery in your UPS is exhausted, which can take some time powering just your internet connectivity equipment. If you still have a landline telephone, or have elderly parents who still do, you'll know that with cordless phones during a power outage, phone calls cannot be made or received. Even if the telephone lines haven't been damaged as a result of whatever caused the power outage, nor if the batteries in the cordless phones are charged, they simply won't work as the base station needs to have power in order to make the cordless units work. Some cordless phone sets have begun to include their own backup method, wherein it requires that a handset that has a charged battery be left in the cradle of the base station to provide it with power during the outage. Of course, not everyone wants to change out their cordless phone setup for something newer unless they have to. Naturally, a UPS can fulfill the need here as well. Since phone base stations draw very little power, even the smallest UPS can keep them going for several hours, keeping the phone lines open in case of emergencies for those who either don't have a cell phone or live in an area with poor reception even on the best of days. Simply plug the AC adapter into plug on the UPS that is labeled backup, and it will do the rest in the event of a power outage. Nothing is more aggravating than waking up in the morning when the power has been off for several hours, possibly resulting in your phone dying and having to fumble around in the dark for a flashlight. However, losing power can be a risk for those that rely on a CPAP or Bi-PAP machine while they sleep. Some CPAP machine models are available with battery backup option, though that can add significant cost that some may not be able to afford. A standalone UPS can be an excellent solution in this situation and be more useful. A UPS can be tucked away under a bedside table to provide backup power to a CPAP machine, cell phone, and lamp for example, for one keeping a CPAP machine operating through the night, as well as providing power to charge a cell phone, along with power for a bedside lamp so that one can immediately have light, rather than searching for a flashlight in the dark. Large aquariums that are very sensitive to oxygen level, temperature and water flow variations can also benefit from a UPS. Using a somewhat larger UPS unit, one could provide a few hours of backup power to keep the essentials running, such as air pumps, a low wattage submersible water heater and perhaps a filtration system to maintain the environment in which your aquatic pets call home. Paying a small amount of money for a UPS to protect your fish can go a long way to avoid losing any fish or other inhabitants of your aquarium due to the result of an extended outage. Don't Uninterruptible Power Supplies Beep A Lot? By now, you probably think I'm insane, suggesting using UPS's for so many different things, when UPS are known to beep or chirp periodically during a power outage. This irksome...feature, serves to alert anyone in earshot that, yes, the power is out and that your UPS is now running on battery to supply power to any connected devices. However, since these shrill chirps come every few seconds and are loud enough to wake the dead in the middle of the night, it would be aggravating to have multiple UPS units suddenly whining and beeping and chirping in a single household. There are ways around this, in some instances to either turn the alarm off completely, make the alarm quieter, or just make the alarm only sound in specific circumstances. Keep in mind that not all UPS brands and models capable of the same features though, so some options may not apply to one model, or brand compared to another. With APC Back-UPS, the alarm can be disabled via software, however I've never had luck with APC's own PowerChute software to do so. 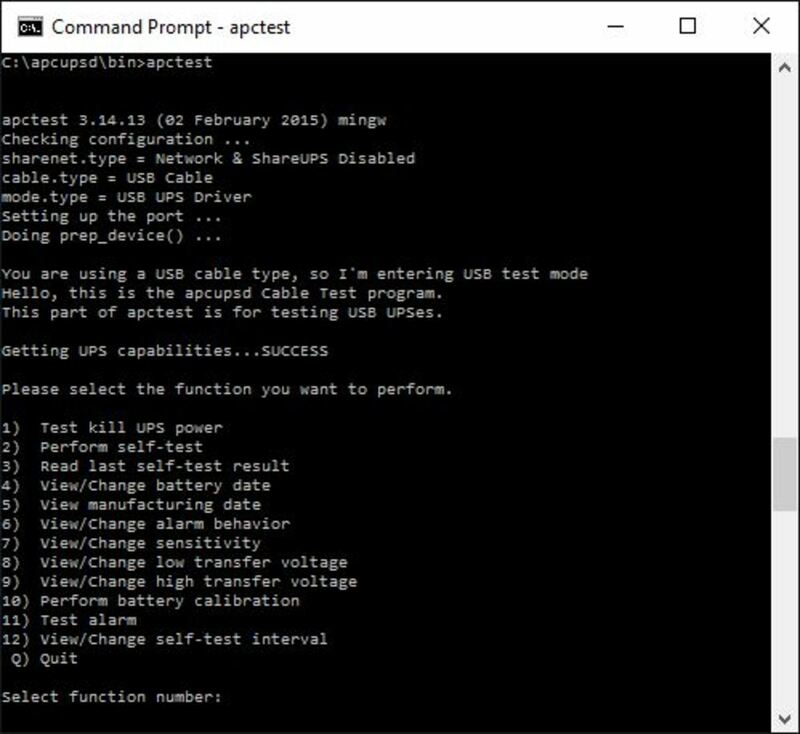 I've resorted to using APCUPSD, a freeware alternative to managing settings on the vast majority of APC UPS units. Using this software, one can completely disable the alarm sound and the only indication that a UPS is on battery power would be the status light or lights on the unit to indicate if something is amiss, like a dead battery, circuit overload, or ground fault. This makes for a silent UPS that won't be screeching at you whenever the power goes out and it's keeping your telephone alive, or better yet, while you're sleeping and have one hiding under the bedside table or night stand, just keep in mind that you'll need an appropriate cable to connect your UPS to your computer for APCUPSD to communicate with it, some model just requiring a typical USB printer cable, others requiring a proprietary USB cable produced by APC. 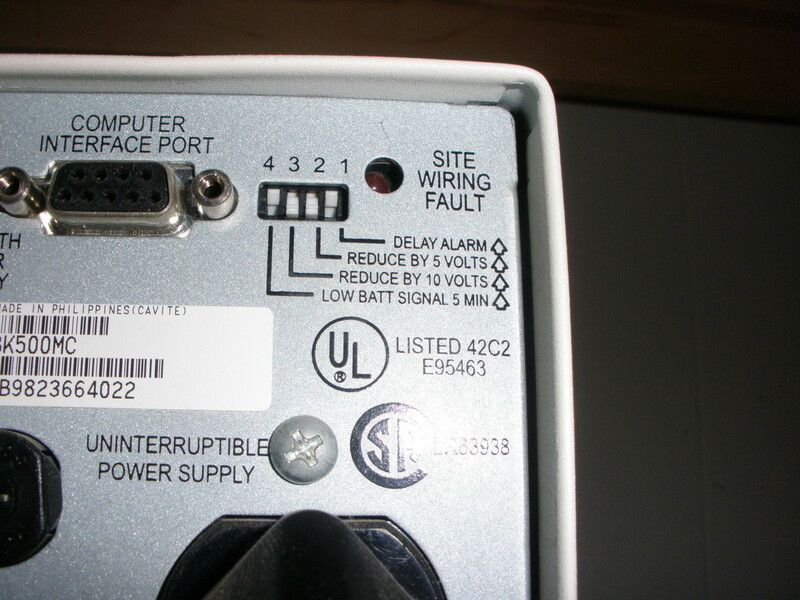 Some UPS models, though few and far between and more likely to be found on older units, allow you to set for the alarm to only go off when the battery has approximately 2 minutes of capacity left. This could be more beneficial to those who use a CPAP machine, as it could alert them only when necessary to make the individual aware that there is an issue. Otherwise, until the UPS reaches the tripping point it can continue to provide power silently until the power has been restored and avoiding any unnecessary disturbance of sleep. If the beeping is useful to you, or you prefer to leave the alarm on, but wish to make it quieter, there is the option of modifying your UPS physically. However, in doing so, I must advise that this will void any warranty you have and that in doing so, you do it at your own risk. Inside most UPS cases, attached to their circuit board is a small, round, black plastic device that has a small hole in the center, known as a piezoelectric buzzer. This is the source of the alarm noise that UPS units make when they're running on battery power. Some intrepid owners have taken to simply removing them altogether, which I don't particularly advise anyone to do. Others have done something less damaging covering the buzzer with a gob of glue from a hot glue gun, which will dampen the alarm noise a bit, but will also let you peel it off if you change your mind later on. Aren't A UPS And Replacement Batteries Expensive? 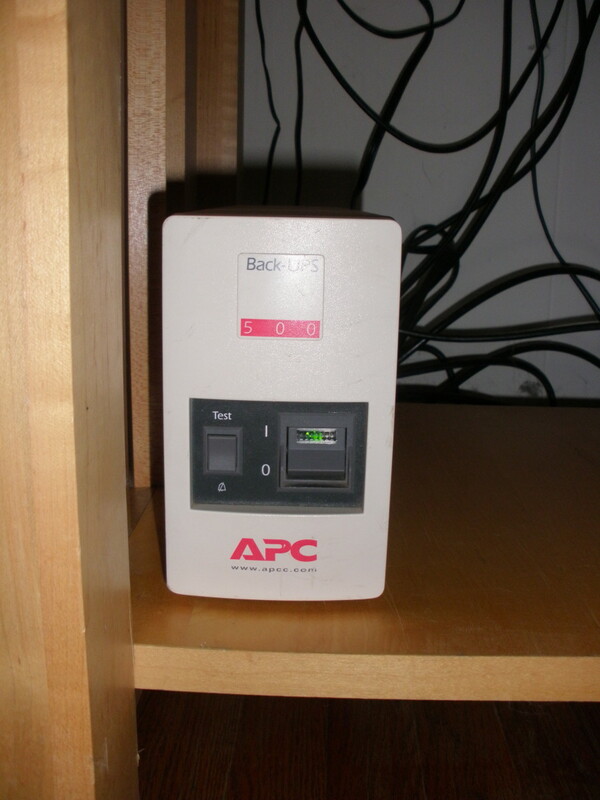 Bigger UPS units, like my APC Smart-UPS 1500 that I acquired for $10 with batteries, can sometimes be found at government surplus stores or university surplus auctions. Keep in mind that with bigger units, the longer run-time they provide is a result of either a bigger battery or two or more batteries linked together, so replacements for those models can cost a bit more, but will still cost less than what you'd pay for a brand new unit. Lastly, there is no reason why you should ever buy your replacement battery from APC. 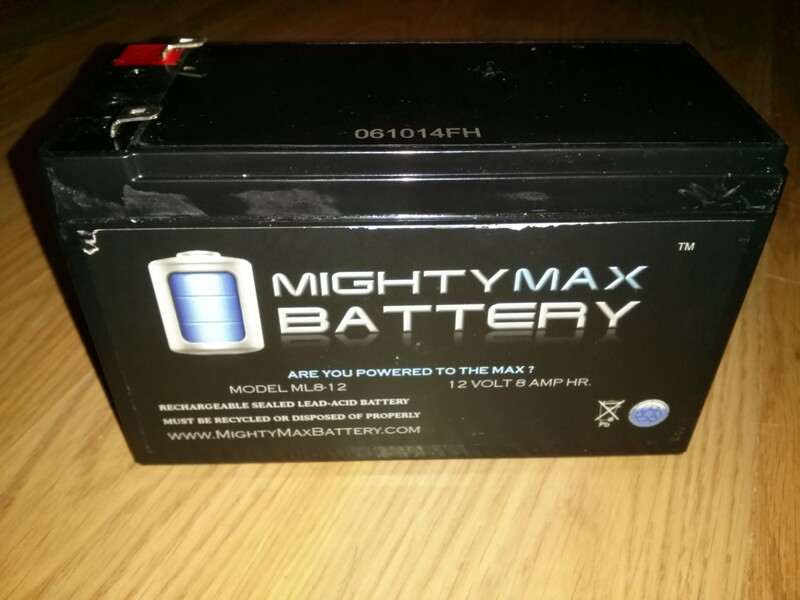 It's easy to replace the battery in your own UPS with one that you purchase from eBay or Amazon. Hi Nancy, that's right! An uninterruptible power supply (UPS) is just a battery in a box that charges while it's plugged in and you're getting power from your electrical utility. Then it allows you to power things off that battery until either the power comes back on, or the battery is just drained from use. For medical equipment, I would recommend a UPS that states specifically that it produces a pure sine wave, like the APC SmartUPS series of UPS models. So this sounds like a pretty good short-term remedy. It is a little beyond my technical skill set, but it seems like it is a battery backup of some sort. In other words, it doesn't create power, but stores it. Is this correct? And, could it be adapted to operate those things that make oxygen for people who have trouble breathing?